01:58 Brackston are there any default schems with worldedit? 01:59 Brackston and is there a way to list any saved builds from the console? 02:01 paramat what do you mean by 'default schems with worldedit'? 02:02 VanessaE there's a Worldedit for Minetest that's not at all related to the Minecraft mod. 02:03 VanessaE Brackston: you can't just ssh in and list the dir? 02:04 VanessaE Brackston: that's a pretty crappy host..
02:05 Brackston It is actually another person host that I am helping him do the build out..I think he is going to move host soon. 02:09 Brackston Thank you everyone for the answers..ssh is my preferred method, but a console list might be nice also or through the worldedit gui. 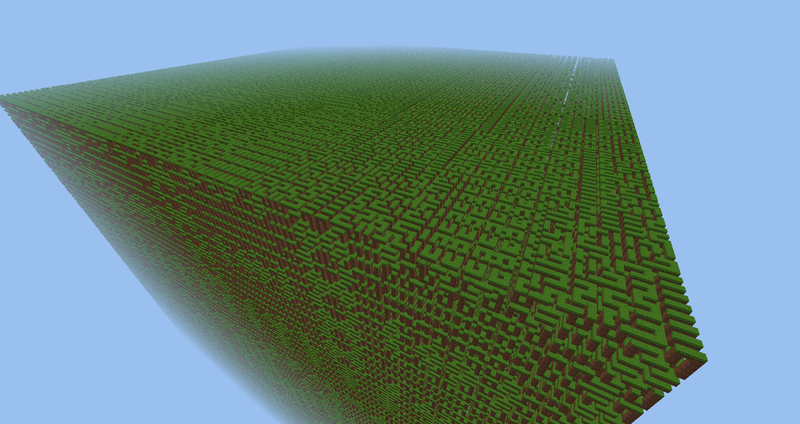 06:11 delores Anybody know the proper way to make a nodebox larger than 1x1x1 and keeping the texture stretched? Changing the 'fixed' type just tiles the texture. Apparently I'm supposed to join multiple nodeboxes and ignore the borders somehow? 06:15 delores I think I could make a mesh for it but it seems redundant since I'm just making a bigger box. 08:46 ShadowBot DS-minetest: Error: Something in there wasn't a valid number. 08:51 DS-minetest hm, wasn't there an extra channel for bot? 11:44 juli can me someone say how i can give all peoples on an irc channel +V? 11:49 IhrFussel Ok guys not sure what that is but it seems like my dedi loses internet connection every day around 1:30 PM ... I don't think this can be caused by a hardware defect right? 12:10 VanessaE IhrFussel: you need to scream VERY loudly at your host. 12:10 VanessaE any kind of connectivity problems on a dedicated server are unacceptable, especially if you have a decent SLA. 14:06 red-001 juli, chanserv flags? 14:09 juli yes and then? 14:13 juli i can't find it, my friend tm3 has also no idea ..
14:13 juli and google also not. 14:17 Krock here, in this channel? no. 14:18 juli so how do i set unmoderated? 14:20 juli yes but if a new player joins? 14:29 juli or how can people speak there? 14:30 juli and how can i do this? 14:32 juli is there a way to reset all things? 14:32 red-001 make a new channel? 16:48 DS-minetest can a hashed node pos be converted back to a pos? 18:24 svennd hey all, I cannot type a world name on a new download (its in my profile extracted) any ideas ? 18:26 Krock are you sure it worked with the older version? 18:29 Fixer i see "Deze pc"
18:31 red-001 irrlicht strikes again? 18:36 red-001 get a qwerty layout for your language? 18:38 red-001 wait aren't your keys mapped to the wrong letters? 18:38 svennd also its "English (belgie) keyboard english"
18:39 VanessaE svennd: irrlicht bug. not minetest. 19:32 delores Back. Anybody know the proper way to make a node that's not 1x1x1 and keep the texture stretched? I'm trying to make something rectangular but changing the size of a fixed box past 1 tiles the texture. I think I'm supposed to make multiple nodeboxes and somehow ignore the borders between them? 19:34 delores I was looking at a mesh but I think it might be overboard if I'm just making a rectangular box. 19:40 delores Door code uses a mesh too, so I guess I might have to go that route. 20:37 kaeza does this guy really want to add one of the worst "features" of PHP to Lua? 20:38 red-001 is bugs even the right subforum? 20:39 farfadet46 someone know how to change / remove recipe ? 20:44 farfadet46 big thanks guy, works fine ! 22:36 sfan5 is it a vps?